Your Child's Adolescence! You Survive, They Thrive! 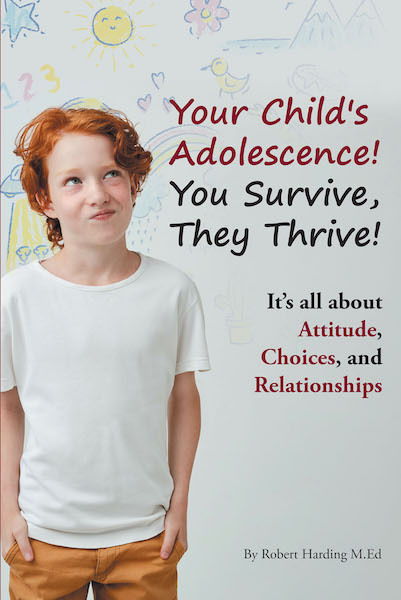 covers the physical, intellectual, social, and emotional changes that occur in adolescence. It will explain my Life Model, how your attitude affects your choices, how your choices affect your relationships, and how your relationships affect your attitude. It will explore the idea of circumstances versus vision. It includes goal setting and the importance of self-confidence and how to develop a positive attitude. The book teaches the importance of respecting authority, the power and consequences of choice making, and the influence of relationships. It will help you understand the challenges of negative peer pressure, and the book also explains how to be successful in school. My goal for you is not only will your adolescent survive their journey, but they will thrive through this journey of change and development.